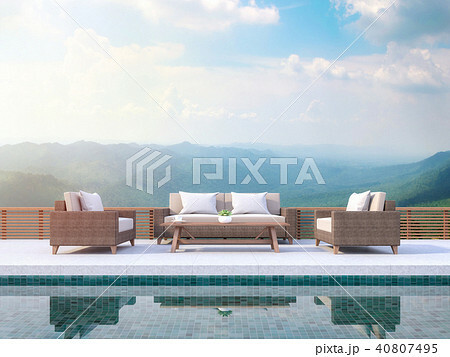 Contemporary pool terrace with mountain view 3d render. There are green pool tile.Furnished with rattan furniture. There are wooden railing overlooking mountain view.